With Jabra Storm you don't have to worry about running out of battery when on the go. The headset delivers an impressive 10 hours of talk time – more than enough power for staying connected throughout the day. 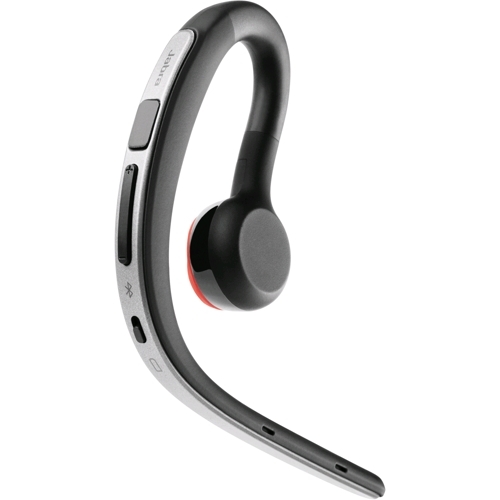 Jabra Storm uses microPOWER technology for a slimmer design and the weight is perfectly balanced on your ear. The headset fits discreetly behind your ear and you'll hardly notice that you're wearing it. If you happen to misplace your headset, the Find My Jabra feature in the Jabra Assist app will help you locate it again. Via the app you can geographically see where you had your Jabra Storm turned on the last time.